So, you’ve bought yourself a fishing rod and reel. You’re almost there! There is still a crucial item needed, fishing line. And if you’re going to buy fishing line you better get the best. There’s not point in skimping out on this. It can be argued that this is one of the most, if not the most important part of the entire fishing rod assembly. 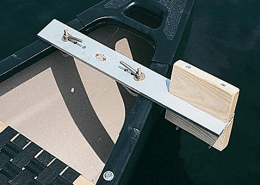 Without the proper line you will not only have trouble fishing in general, but you won’t be able to land any of the fish that bite. It’s our humble opinion you can’t beat the strength and price point of braided fishing line. Braided line is made up of multiple lines all braided together to make one very strong fishing line. Imagine having a single piece of rope, while it may be strong enough for many things, under the right amount of stress it will snap. Now image you’ve taken that one piece of rope and woven it together with 3 or 4 other pieces of rope. It become slightly larger but it is exponentially stronger. This is pretty much what braided fishing line is but on a much smaller scale and they’ve been designed to work perfectly with both spinning reels and baitcaster reels. The engineering behind it is simply amazing and the strength it has is astonishing. 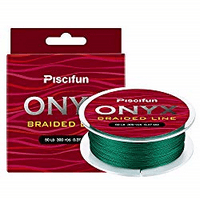 Here are the top rated braided fishing line for the Money 2019 so you’ll no longer need to ask, “What is the best braided fishing line?” or “Who makes the best braided fishing line?” All of your braided fishing line questions are about to be answered in this braid fishing line review! This fishing line is truly something special. This braided line is designed to do two things, increase the overall durability and rigidity while also allowing you to increase your overall casting distance. You don’t have to worry about this line breaking during those crucial moments or fraying like some cheaper lines do. Believe it or not, this line is made from the exact same material as a bulletproof vest. If that doesn’t do it for you, I don’t know what will. 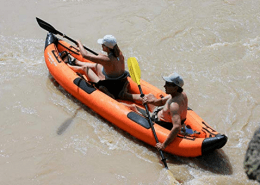 KastKing SuperPower Braid line comes at a test strength of between 10-200 pounds, but specifically there braided lines come between the range of 10-80 pounds. 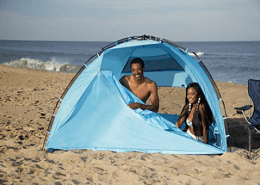 This line also comes in many colors including clear, blue, green, pink, gray, white, yellow and multicolor. Of course these colors will range depending on the specific category of line you’re purchasing. This braided fishing line consists of four individual high-strength strands all the wound into a single line for optimal strength. 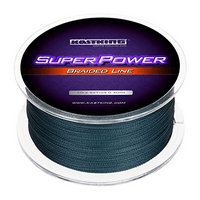 Whether your fishing in saltwater or fresh, bass fishing, trout fishing, surf fishing or even ice fishing we believe you can count on KastKing SuperPower line for your next fishing adventure, its one of the best braided fishing lines for bass fishing. 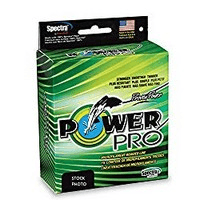 PowerPro Spectra Fiber braided fishing line is the most sensitive line they have ever put on the market and made available to anglers. This MicroLine consists of a three braid construction with almost zero stretch. This is what makes this line the most sensitive they’ve ever offered. 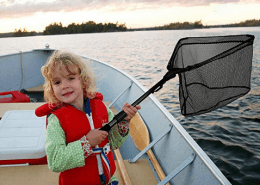 One of the main reasons they created this line is largely due in part to the fact that a large majority of lakes, streams and rivers are getting clearer and clearer, thus the Microline. The fact that this line is thinner than most allows the anglers lures to have more action through the water giving your lures optimal presentation. Some features almost everyone will enjoy include the ability to spool your reel directly from the box which includes a built-in cutter. Their packaging is extremely durable and tough ensuring the lines protection, and they were even kind enough to include Arbor tape. How nice! This lines diameters are 0.005 inches through 0.035 inches and the optional lengths are 150 through 3000 yards. It’s up to you to decide the strength and length but we know with this line, you won’t go wrong. This is some of the best braided fishing line for spinning reels currently on the market. SpiderWire Braided Super Line gives the angler the upper hand by delivering to them unparalleled smoothness and quiet performance. This line is constructed with two extremely important characteristics kept in mind which are, extreme strength while keeping the thinnest possible line diameter. 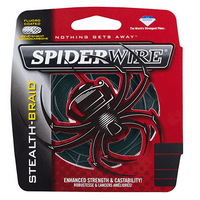 SpiderWire Braided Super Line is made of Dyneema ultra-high molecular weight polyethylene fibers meaning this line is now 30% stronger than all previous versions, its one of the strongest braided fishing line currently on the market and its also one of the best braided fishing line for spinning reels. This being said, it allows the angler’s the ability to cast further than ever before. 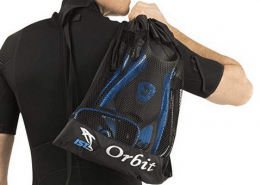 Allowing them to reach those hard to fish places while also giving them optimal control at the same time. This line also offers extreme strength through its no stretch properties. 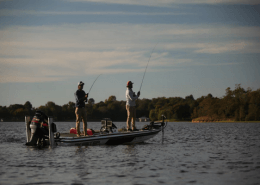 Meaning the angler will be able to tell the instant a fish bites helping to prevent the line from digging into the reel. This fishing line comes in moss green allowing it to become almost invisible while underwater allowing the angler to sneak up on their unsuspecting victims. Not only that but this line also comes in a new and improved thinner packaging, meaning this spool will take up less space and less weight in your tackle box. You can use this line in both freshwater and as saltwater braided fishing line. This line is really something special. Piscifun has improved the braid of their line by adding an epoxy coating which helps to keep the line safe and undamaged far longer than their competitors and the small spool design makes it perfect for fitting into your tackle backpack. The strength of this line is almost unmatched. It’s 4 strand braided material allows the angler to tie solid knots that can really hold up even during those hard fought battles. 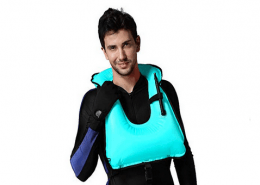 Giving you the piece of mind that these knots will not come undone, this is accompanied by the overall abrasion resistant properties this line has. Piscifun’s line is one of the most consistent lines when it comes to having an extremely consistent diameter or roundness. This allows the line to cut through the water faster and cleaner which in turn allows the angler to get the lure to those target water layers, thus letting you get your lure right in front of the fish, its some of the best braided fishing line for baitcasters. The zero stretch properties ensure you will know the exact moment the fish hits making it some of the best braided line for baitcasting reels. Accompanied by its low memory properties, you’ll never have to worry about your line stretching over time. You can get this line in 4 or 8 strands making it some of the best braided line for bass. With the 4 strand you’ll have between 12-50 pound test and with the 8 strand line you’ll get 65-150 pound test. Now that you know the amazing properties of this line all that’s left to do is pick some up and start your journey. This braided line is made in Wisconsin and everything is shipped from that location. Reaction Tackle makes some very high quality braided line, which is right up there with a lot of the name brand line, but for only a fraction of the price. There line comes in both 4 strand braid and 8 strand braid depending on the test strength, 4 strand being between 10-100 pound test and 8 strand being 120-200 pound test making it some of the best braided fishing line for baitcasters. 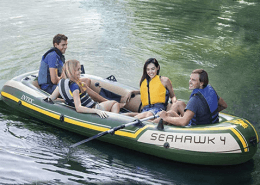 Their line is made of UHMWPE (Ultra-High Molecular Weight Polyethylene) which is currently the world’s strongest fiber, and their line is 100% UHMWPE. 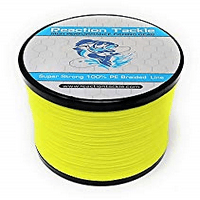 Reaction Tackle offers all of the most common line colors including blue, green, yellow, orange and black just to name a few, with new colors added all the time making it some of the best color braided line for saltwater. And you don’t need to worry about this color bleeding away, their color locking technology last extremely long and resist bleeding and fading. This line is smaller in diameter but doesn’t lose any of its strength because of it. This smaller diameter allows this braided line to easily and quickly move through the fishing guides allowing the angler to cast further than ever before. You can get this line anywhere between 150 and 1500 yards at a time. Keep an eye on this company, I can see them making big moves in this industry with this high quality line.